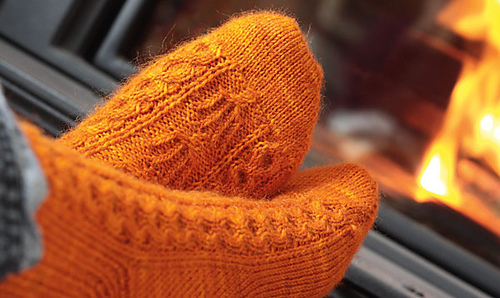 Orange is one of those colors that people feel very strongly about, and I happen to love it. 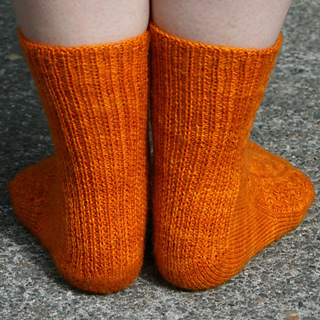 I couldn’t resist this gorgeous skein of Mountain Colors yarn in a brilliant orange hue, and a stitch pattern mimicking candles seemed the ideal choice for this sock. 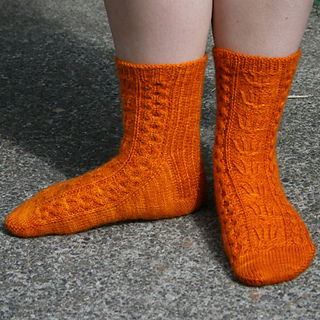 Of course, nothing says that you need to use orange yarn - this pattern would look lovely in any solid or very gently variegated hue.